A new “one-of-a-kind” piece of equipment was contracted to be designed and built for a major oil company by an offshore equipment manufacturer. Finite element models (FEMs) to provide stress analysis support were required for several critical components on the equipment. When the equipment buyer questioned the design of one of the safety components and its ability to function as required, a special analysis was needed to demonstrate that the component in question was adequately designed and compliant with an API standard. 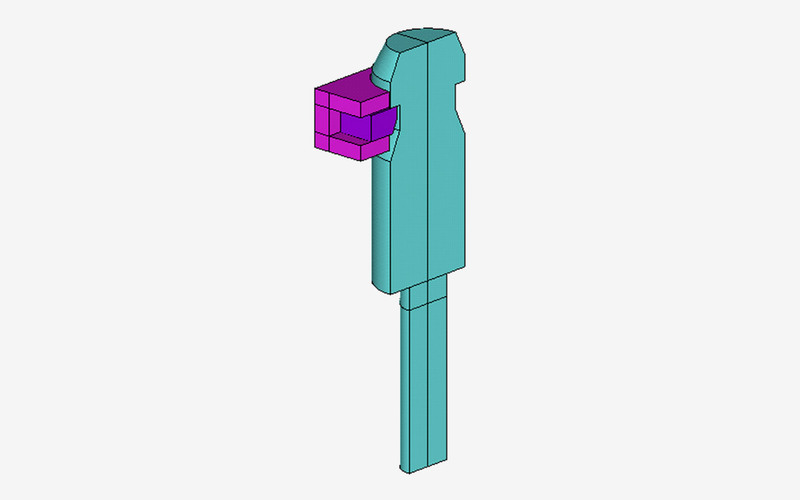 A three-dimensional FEM was built for the locking mechanism in question. This FEM was used to determine how the component behaved under design loads and whether or not a postulated undesirable rotation would occur for one of the parts. The FEM demonstrated the desirable behavior of the safety mechanism and it predicted that the component was adequately designed per API requirements. Based upon this finding, the parts were manufactured and successfully tested. This effort satisfied the equipment buyer’s concern. Argos Engineers is ready to partner with your design team to analyze critical equipment components. After the design evaluation and successful testing of the safety mechanism, the equipment manufacturing activities continued on schedule.